Earn up to 51,845 reward points. 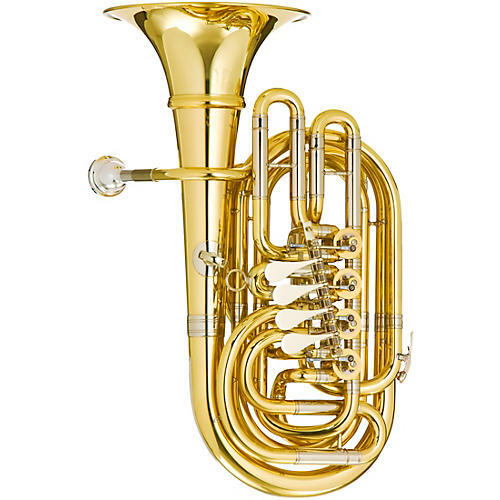 The perfect tuba for the on-the-go pro! The Meinl Weston 14 Trolley Series F Tuba was designed with the traveling tuba player that needs to keep up their chops. It fits conveniently in the overhead compartment on an airplane and plays extremely well for its size. This 4 rotary valve F tuba has a detachable bell and fits nicely in the included compact case. It comes with a very good practice mute that virtually eliminates any sound other than to the player. When you are touring and your horn is sitting somewhere in a concert hall this fine instrument allows you to keep up on your daily routine.